Unlock the key to rapid, sustained weight loss and lower blood sugar with a four-week cleanse that heals your liver and gives your metabolism new life. The liver holds the secret key to losing weight, increasing immune function and cognition, and even reversing diabetes. Through his work with thousands of patients, Alan Christianson has developed a fasting plan that resets and cleanses the liver so that it works optimally. 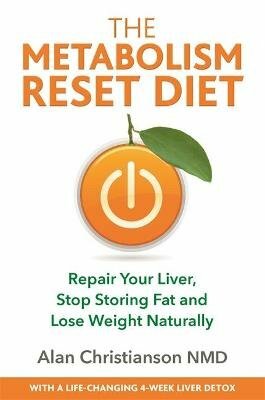 If you've tried the classic diet routes of cutting down on sugar and carbs unsuccessfully then this book is for you. This tried-and-tested plan is constructed to give your liver the nutrients it needs without over-fuelling - supplying your body with healthy amounts of protein, fibre, micronutrients and phytonutrients. It includes: * guidance on which foods to eat and when * easy meal plans and delicious recipes * a 4-week liver cleanse to reset your liver health * advice on maintenance after weight loss With this clinically proven programme you'll have fewer food cravings, steady energy levels, better digestion and a metabolism that works efficiently.